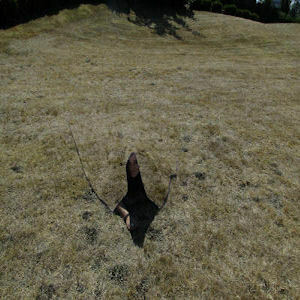 Weird Things » Blog Archive » Real Cloak of Invisibility? Company Develops Stealth Material! Real Cloak of Invisibility? Company Develops Stealth Material! Harry Potter had one. Frodo Baggins had one. Even Max from Disney Channel’s Wizards of Waverly Place had one. In fact, just about every single geek on the planet at some point in their life has probably hypothesized about how cool it would be to have some kind of a cape or blanket that you could cover yourself in and become instantly invisible. Well that might soon become a reality. While we’re still going to have to keep to our hypothetical invisible scenarios in our grinning heads, it won’t be long until soldiers, special ops agents and even….uh…submarines…begin using something called ‘Quantum Stealth’ to get all Predator-like. Guy Cramer, the president and CEO of Hyperstealth Biotechnology in Canada, is vaguely but loudly declaring that he’s developed an invisibility cloak-like material! After checking his site and looking at the ‘mock-up’ photos on display, we’re secretly hoping this is a serious technology that’s about to put old-school camouflage in the closet. Poking around online to see if there was ANY hint at what Cramer is developing turned up nothing that actually shows off the technology. He’s claiming that if a soldier were wearing his top secret material you wouldn’t know he was there until you tripped over him. Pretty bold claims considering we’ve seen this kind of promise before. But if we know our audience? We’re guessing you’re all crossing your fingers, doing some kind of little victory dance and hoping it’s true too. The last episode of the Skeptic’s Guide covered this. Sounds like the company has a whole lot of nothing and needs money. pipe dream anyone? The skeptic’s guide just covered this in the last episode. Sounds like the company needs money, again.